IPL 2019 is here. 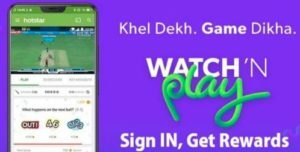 Few days back, we posted an article about Hotstar’s Watch n Play offers. 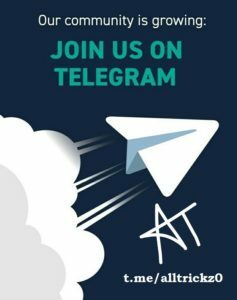 Today we are back with another IPL related offer. 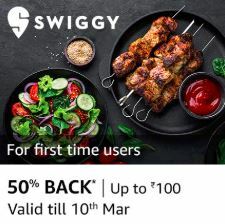 Swiggy is offering flat 60% off (upto Rs 75) on food orders after every sixer during an IPL match. You can avail the offer within 6 mins after a sixer is hit. So, watch matches, support your favorite team and have a feast. 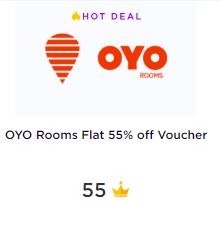 How to get flat 60% off (upto Rs 75) on food orders after every sixer during an IPL match? 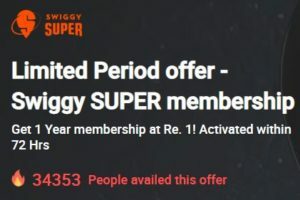 Never used Amazon Pay to pay for Swiggy orders? Swiggy is back in collaboration with Amazon. Order today and you will get 50% cashback (max Rs 100) on food orders on first ever payment with Amazon Pay. Order now. How to get 50% cashback (max Rs 100) on food orders with Amazon Pay?